Todays inspiration: Denim. I have to get myself a pair of boyfriend jeans ASAP! I think they mach perfectly with a white blazer and a pair of black sandals. Don't you think so? I think so too! 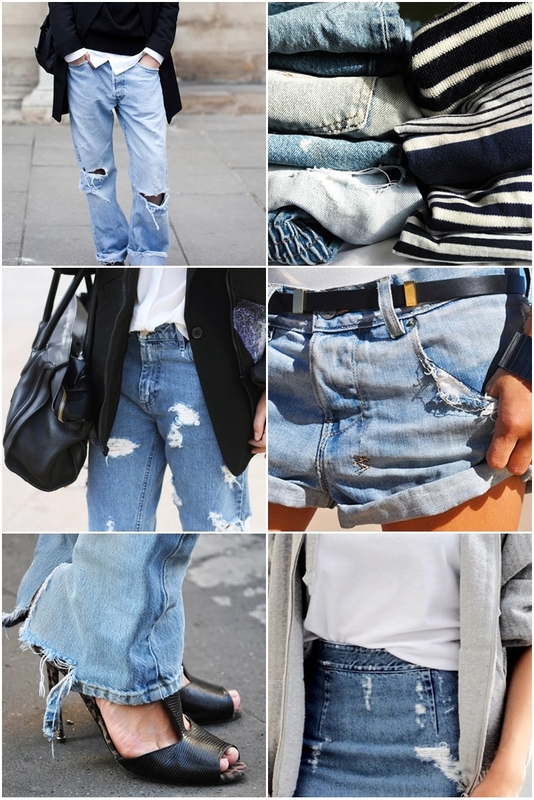 Great denim inspiration, its my biggest closet must have! Me encanta los pantalones . No aplique, está de moda o no. Se trata de una buena base y nosotros siempre! denim never be a history in fashion world. They are young forever. and torn jean is so in fashion! great pics!!! !